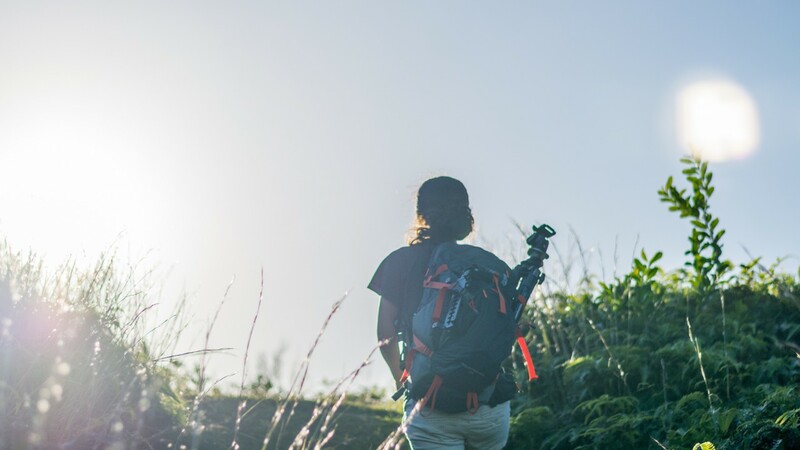 Pu’u Pia, meaning “Arrowroot Hill” in Hawaiian, is a two-mile round trip hike in the back of Manoa Valley. The trail begins as a wide path through the lush green rainforest. Shortly into the hike, there is a split in the trail. 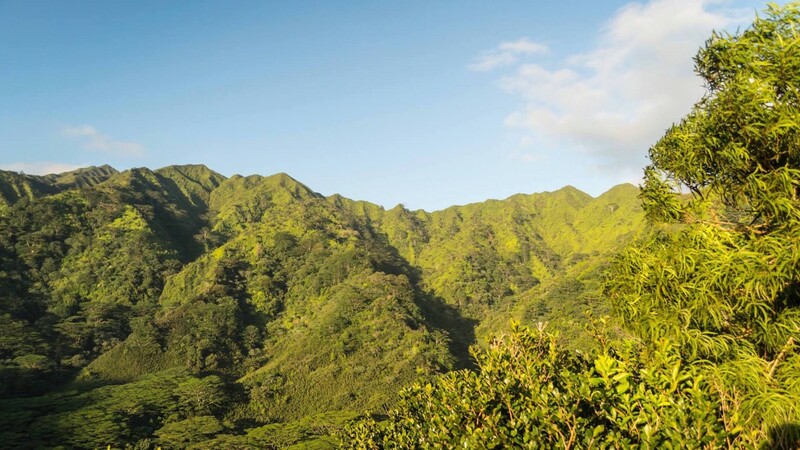 To the right is Kolowalu, which steeply ascends to Wa’ahila Ridge. 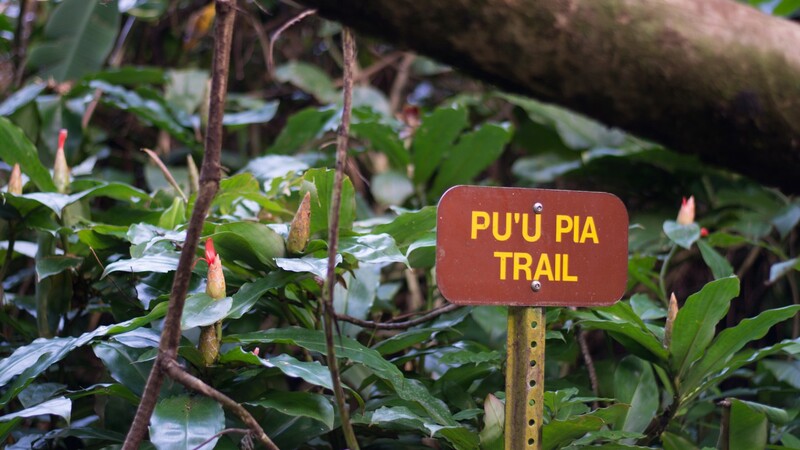 Stay left to continue along Pu’u Pia. Just after the fork in the trail, there is a picnic shelter on the right, which is surrounded by beautiful red ginger. The trail continues to gradually climb through the ironwood forest before breaking out onto a beautiful ridgeline. 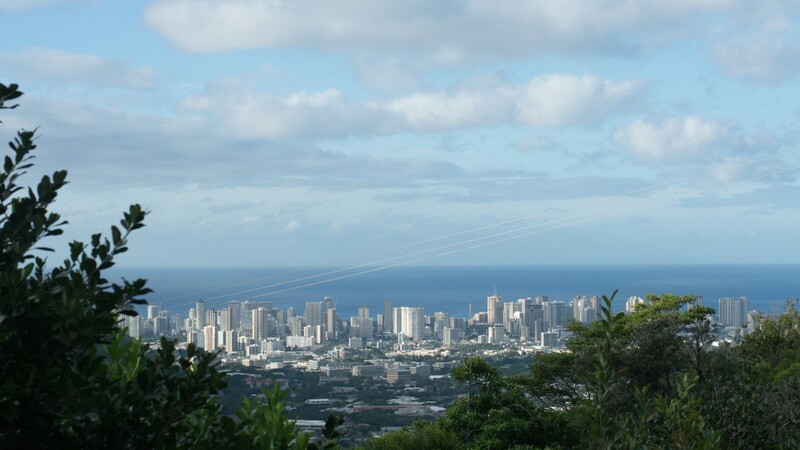 From the top, 360 degree views of Manoa Valley and Honolulu are available. 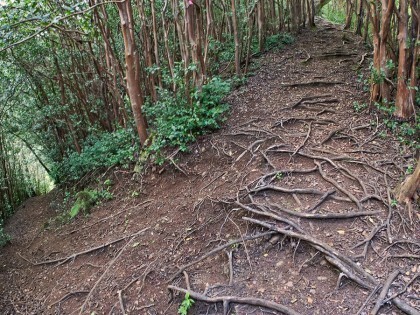 Due to the amount of rainfall Manoa receives, hikes in this area can become a bit muddy and slippery, especially when hiking over sections of exposed roots. Please be sure to watch your step and wear proper footwear. Also, there is pig control hunting with hunting dogs every Wednesday and Sunday along this trail. If you are planning on bringing your dog to hike with, we suggest avoiding these two days. 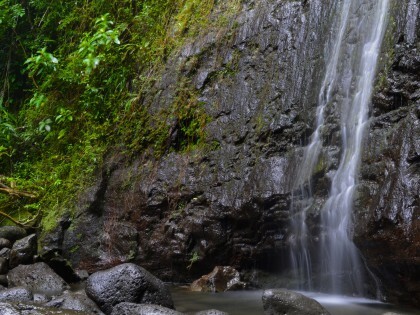 By car: In Manoa Valley, follow E. Manoa Road mauka (towards the mountains) past Manoa Marketplace. At the intersection with Alani Drive, turn left and continue for about three quarters of a mile until the road sharply turns right at Alani Lane – do not turn. Instead, park along Alani Drive. At the marked sign, follow the path on foot past the houses and then onto the trail. By bus: From Ala Moana Center, take Route 6 towards University – Woodlawn Drive, until the last stop along Alani Drive. Proceed on foot past the sign and houses and then follow the trail. Great little hike through Manoa Valley. I love how green the forest is, and the views from the top are beautiful. 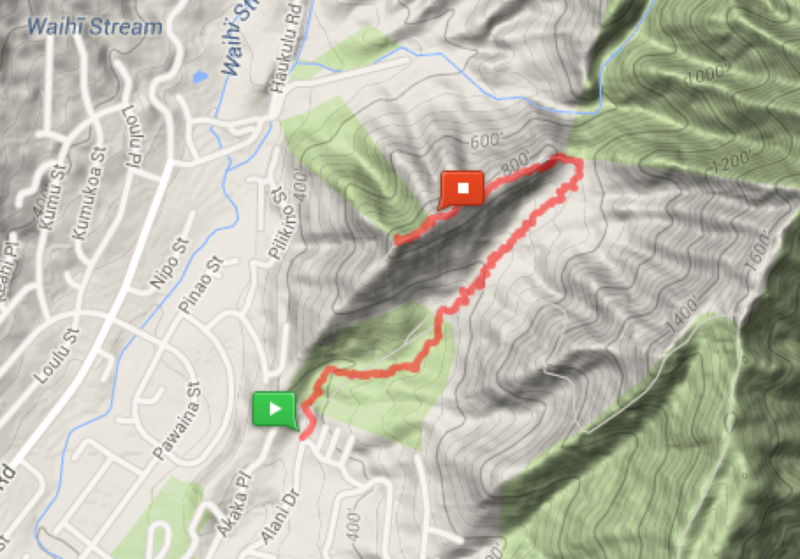 Fun trail to do if you are looking for a short hike. Easy hike, lot of fun. Nice workout to practice trail running.